Our Virgin, Extra Virgin and PDO Olive Oil are produced mainly with the olive variety Galega, a typical Portuguese olive and made only with mechanical process. 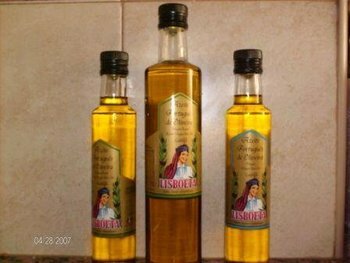 The brand for Extra Virgin and Virgin Olive Oil is Lisboeta, and for the PDO 0, 3 is Probeira. We sell in cartoon boxes of 20 units each. Contact us for ask for prices and technical data. The olive oil is available in glass bottles of 250 and 500 ml, and in plastic jars of 3 and 5 litres.